Blast off into space to help build a space station! Feel the G-force when you lift off into space, and float in micro-gravity as you orbit. Put on your space suit before you go outside to help build the space station, moving around with the help of your jetpacks and steer yourself with a joystick. At the end of the day, eat your space meal and then brush your teeth with special toothpaste before you go to sleep in a sleeping bag that is strapped to a wall so that you don't float around while you sleep. Includes a note to parents with tips on how to encourage reading and a "Did You Know" section to test what readers learned. 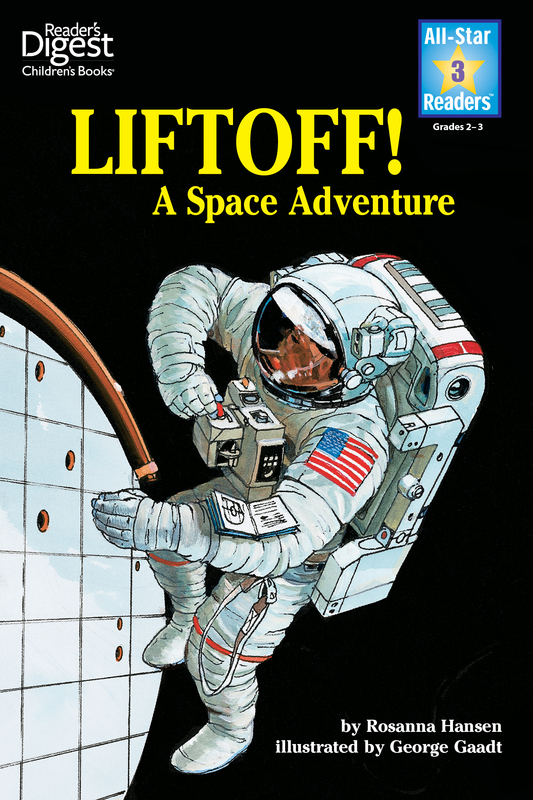 Book Cover Image (jpg): Lift Off!